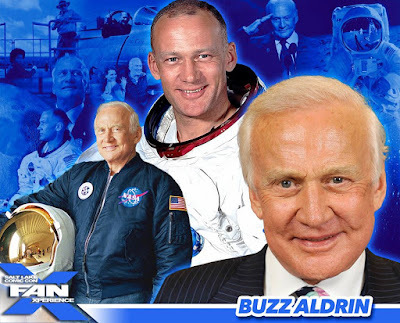 Salt Lake Comic Con gave us quite the Christmas gift today announcing that Apollo 13 Astronaut Buzz Aldrin would be a guest at Salt Lake Comic Con FanX this coming March. I've always wanted to meet Buzz Aldrin and could not be more excited about this announcement. Thank you, Salt Lake Comic Con for the awesome Christmas announcement! See you in March, Buzz Aldrin!